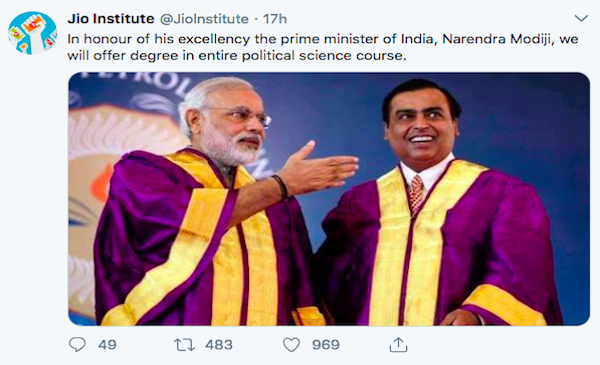 Reliance-owned Jio Institute came into the public eye when Union HRD minister Prakesh Jawdekar mentioned its name on Twitter as one of the greenfield university projects to be awarded the “Institutions of Eminence” status. 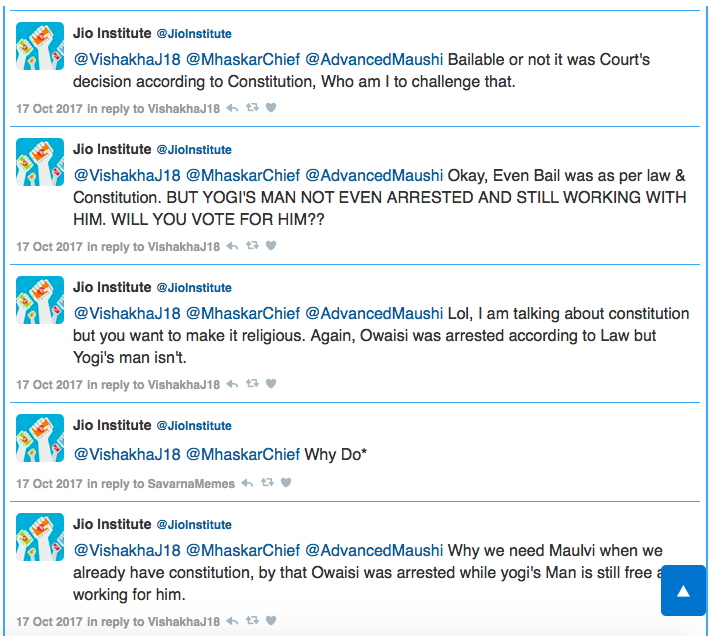 Jawdekar’s tweet on Monday attracted a lot of anger from twitteratis who wondered how a proposed university who does not even have a website showing up on Google search be awarded such an important tag by the government. 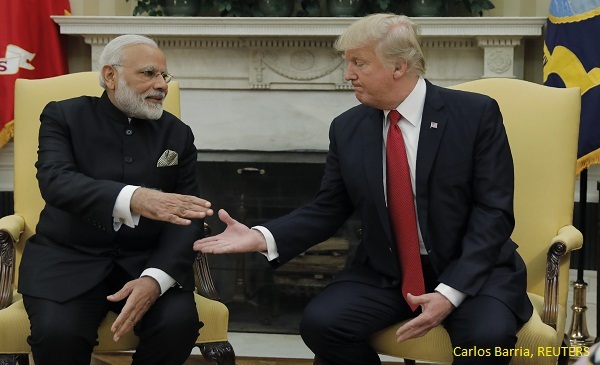 Jio institute? Is that Whatsapp University? But a parody twitter handle @Jiolnstitute has taken the lead in tweeting videos and images dripping in sarcasm ever since the announcement was made. The handle has used images of Mukesh Ambani, Narendra Modi and even actor Akshay Kumar to tweet about the potential achievements of Jio Institute. Data is Free, Not Education. Meanwhile, another hashtag #DivyaLiability aimed at Congress social media chief Divya Spandana started trending with those tweeting using the hashtag praising the government for accepting Jio’s application. But it didn’t take much time to notice a trend that has been seen in the past – copycat tweets. A twitter handle @TrollABhakt who calls him the Fake Trend hunter pointed out that nearly 50% of the tweets using the hashtag were copy paste tweets. Trending at 2nd position with less than 500 tweets nearly 50% of which copy-pasted. The Jio Institute is a greenfield project yet to begun its operations. The private university is likely to begin operations after a period of three years. The institute will be run by the Reliance Foundation. The HRD ministry also tweeted its clarification answering questions related to the inclusion of Jio.